Our organization, Pangem Tech. was established in the year 1982, as service providers in the area of gems and jewellery with total focus on offering comprehensive Training Certification in Gemstones and Diamond in both Loose & Jewellery form. Our inclusive services have gained all India acceptance and recognition. 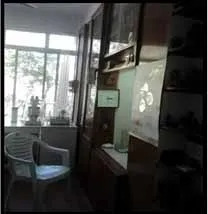 Premier gem testing laboratory of Pune was established in the early eighties when Pune was still known as Poona. In our new avatar as Pangem Testing Laboratory (PTL) we are committed to provide scientific testing reports for coloured gemstones and grading reports for diamonds. To protect all consumers of gemstones and diamonds as well as those aspiring to gain knowledge of gemstones and diamonds, we provide education and research through our Pangem Tech.- Panjikar Gem Research and Tech Institute. Our mentor, Dr. Jayshree Panjikar is an internationally recognized authority on gemmology. She is the Chief Mentor and Strategic Adviser to PANGEM TECH – Panjikar Gem Research & Tech Institute, Pune, Maharashtra, India. Under her dynamic leadership we have come to be recognized as a force to reckon with. We are a client oriented firm which maintains high quality standards while implementing our services. We are authorized to issue recognized testing reports for gemstones and diamonds of a wide database of jewelers across the world. Our Laboratory is ISO 9001:2008 Certified Organization. In addition to this, we have in-built research & tech institute, which is highly acclaimed training center in this esoteric domain. The authorization is provided in compliance with internationally accepted quality standards and norms. “Building Trust For Better Consumer Confidence”. To become a highly respected Institution , globally known for producing the best entrepreneurs having excellent and relevant technical knowledge. To facilitate the provision of excellent, holistic and state-of-the-art knowledge from research experience. Dr. Jayshree Panjikar is an internationally recognized authority on gemmology. She is the Chief Mentor and Strategic Adviser to Pangemtech – Panjikar Gem Research & Tech Institute, Pune. Earlier she played a very active role as the Chief Adviser at the Seamedu’s Institute of Gem & Jewellery. For almost 30 years she was the Head of the R & D Department of the National Research Center for Diamonds and Gemstones and the Course Coordinator as well as the Chief Gemologist of the Gemological Institute of India, Mumbai. In 1975, Jayshree graduated from Fergusson College Pune, University of Pune and stood first class first with distinction at the B. Sc. (Hons.) 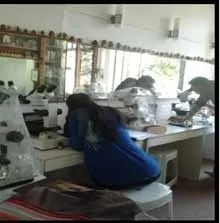 in Geology. She successfully completed her FGA (UK) from Gemological Association of Great Britain in 1977. Also did her Diploma (DGemG) from the Deutsche Gemmologische Gesellschaft, Idar Oberstein in Germany in the year 1984. From 1987 to 1989 she was the DAAD scholar in Germany at the Heidelberg University to do her doctoral work on Rubies and Emeralds of Indian origin. Jayshree Panjikar is the first Indian lady to study for her doctoral thesis on gemstones at the Heidelberg University in Germany. She has authored and presented papers on gemmology at National and International Gemmological conferences and seminars. She is associated with various institutions of gemmological studies in the country. 2000 saw Dr. Jayshree in Antwerp to do the diploma, Certified Diamond Grader (HRD) Belgium. In 2006 she did an Advanced Gemmology Research Program on Raman Spectroscope & FTIR from GIT, Thailand. From GIA she successfully completed her Graduate Pearl Diploma in 2009. Dr. Panjikar is the member of the Gemstone Panel of the International Mineralogical Association (IMA). She is also on the Precious Metal and Gemstone Panel of the Bureau of Indian Standards (BIS) and has taken very active role in the formation of the BIS standards for Diamonds. Recently she has been nominated as Executive Council Member of the International Gemmological Conference (IGC). Dr. Jayshree Panjikar is a member of the Advisory Board of Asian Institute of Gemmological Sciences Thailand (AIGS)and as well as on the expert committee of the Gem & Jewellery Institute of Thailand (GIT). From 2011 to 2015 Dr. Jayshree Panjikar will work as member of the Board of Studies for Geology for the University of Mumbai. She is the Life Member of various prestigious organization like the Indian Science Congress, Indian Geological Congress, Geological Society of India, Mineralogical Society of India, as well a member of the International Alumni Association of the Heidelberg University Germany. Dr. Jayshree Panjikar is also one of the founders of the Forum of Indian Gemologists for Scientific Studies and the President of the Jewellery Designers Association and works for the propagation and development of gemology in India. Dr. Jayshree Panjikar co-authored the book “Gemstones – Properties and Identification”. 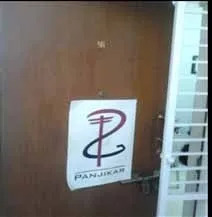 Born on 1st April 1955 in Pune, Dr. Jayshree Panjikar is the proprietor of Pangem Testing Laboratory in Pune. Our firm is blessed with dexterous team of professionals, which strives hard to achieve complete client' satisfaction. These professionals mustered over the tiny technicalities involved in this domain. We have hired expert quality professionals, which keeps stringent check over the whole process; right from ideas, conceptualization till execution of specialized services. These professionals are hired after strict scrutiny of their domain expertise and vast knowledge. Our team's dedicated efforts have fetched us huge recognition in this domain. Gem testing report is necessary as it benefits the customer as a whole. Testing Report brings in the confidence and trust factor to the jeweler and the customer on the transacted gem material. Testing Report eliminates subjective discrimination to both jewellery as well as customer. Pangem Enterprises issues recognized testing reports for gemstones, diamonds, and Diamond Jewellery based on internationally accepted standards.